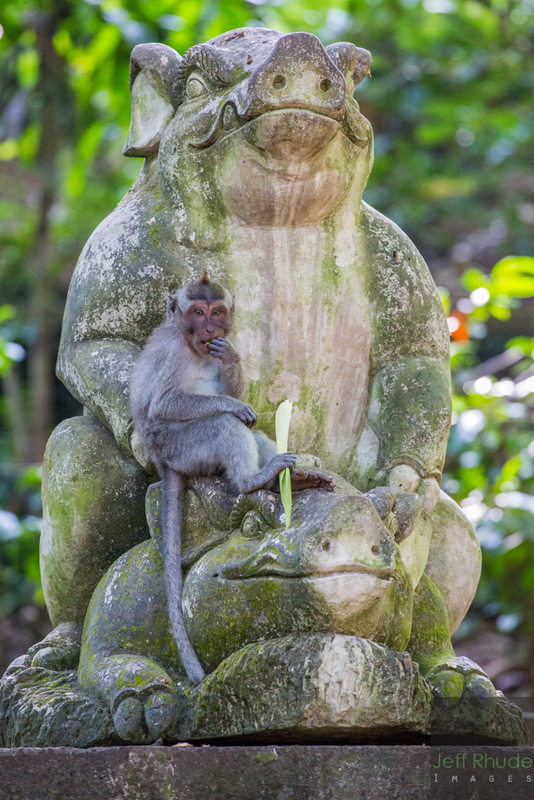 Ubud is a phenomenal city located nearer to the middle of Bali, far away from the chaos of Kuta. Often advertised as Bali’s cultural destination, Ubud is host to a healthy tourist industry although much more civilized one. The streets are uncharastically absent of car horns and phallic bottle openers and even a short walk can unearth new and interesting discoveries. Despite the reports of simian-human violence and its reputation as a busy tourist destination, an early morning visit proved peaceful and interesting for photographs. 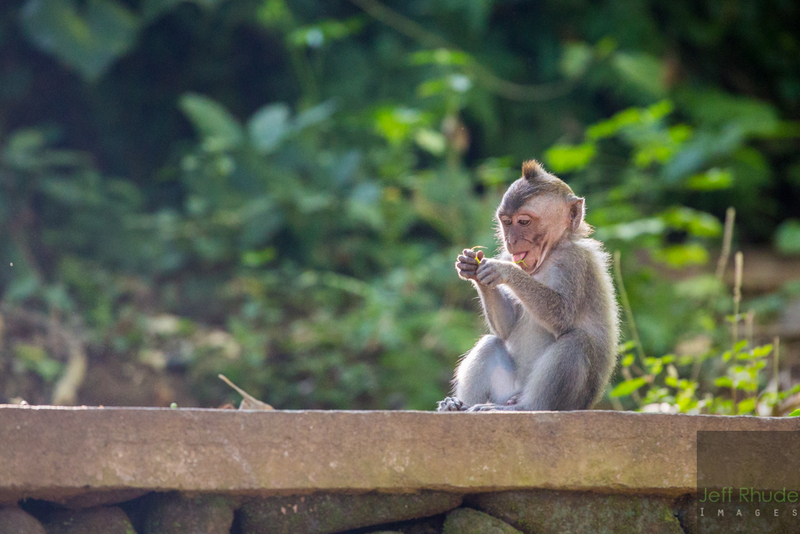 I always find monkeys very interesting, their actions and personalities are a little too close to our own. 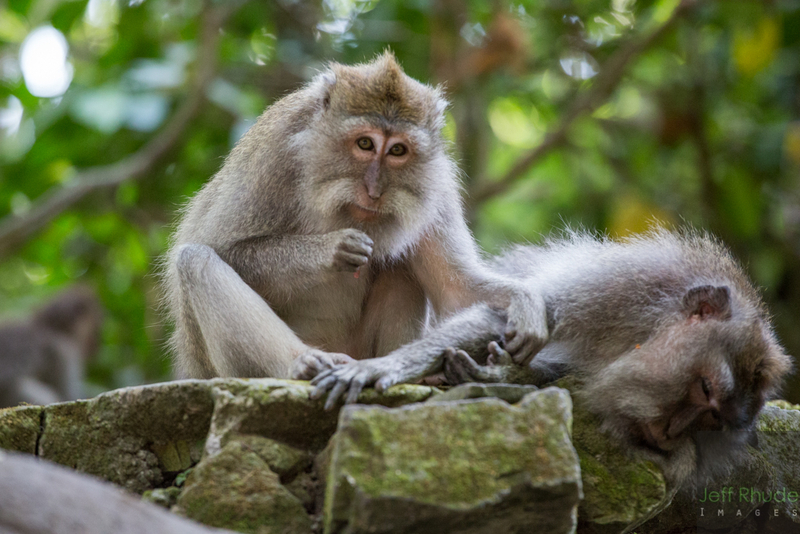 They can certainly be troublemakers and I suggest leaving any food or even your wallet at home when visiting a place where monkeys are so used to humans. They will pick the sunglasses off of your head or steal the watch from your wrist. If you resist they may bite, reminding me I may find familiar helices if I looked very close. 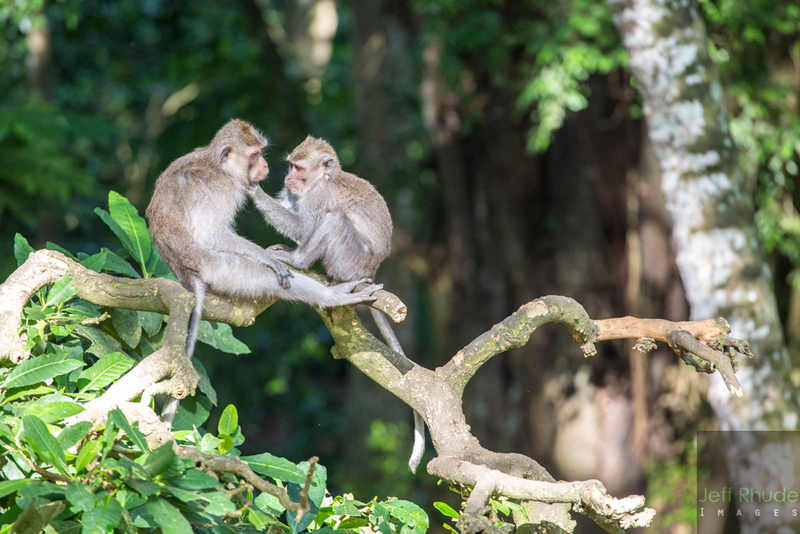 I love observing primates in pairs, grooming, making eye contact or pestering each other. There seems to be a genuine care for each member of the group. Also interesting is the family unit. 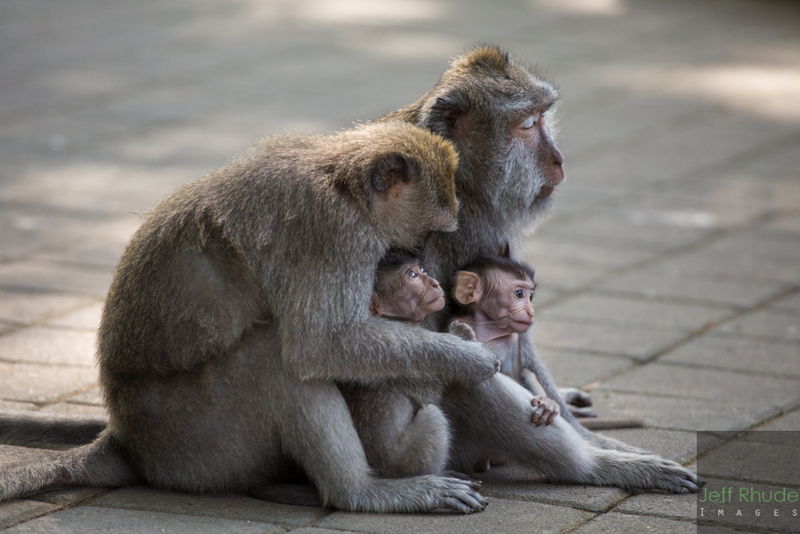 The babies typically stay close to their parents and the parents can carry them on their belly without impairment in walking or bounding up branches. Still, like all animals, the babies are the biggest attraction, they seem to like all the attention. 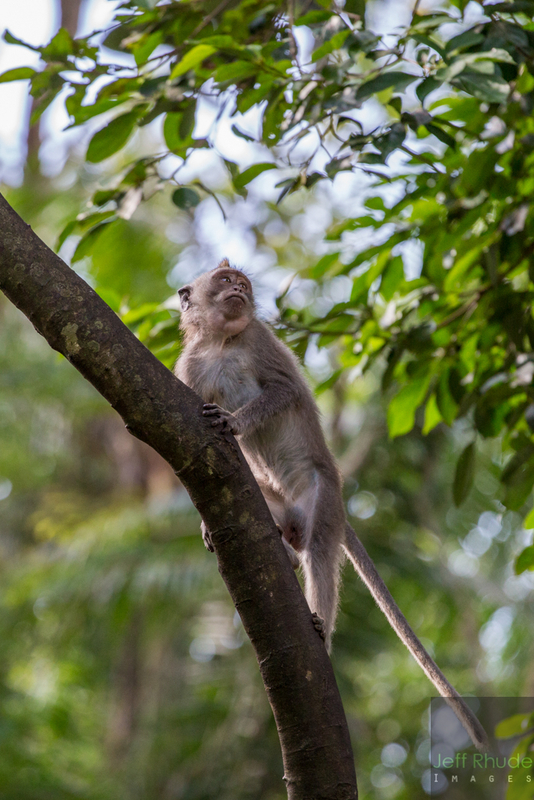 Even though these crab-eating macaques are free to roam in the forest they hang around here and go about their business (get it?) until one of the local keepers opens a huge cage of food. 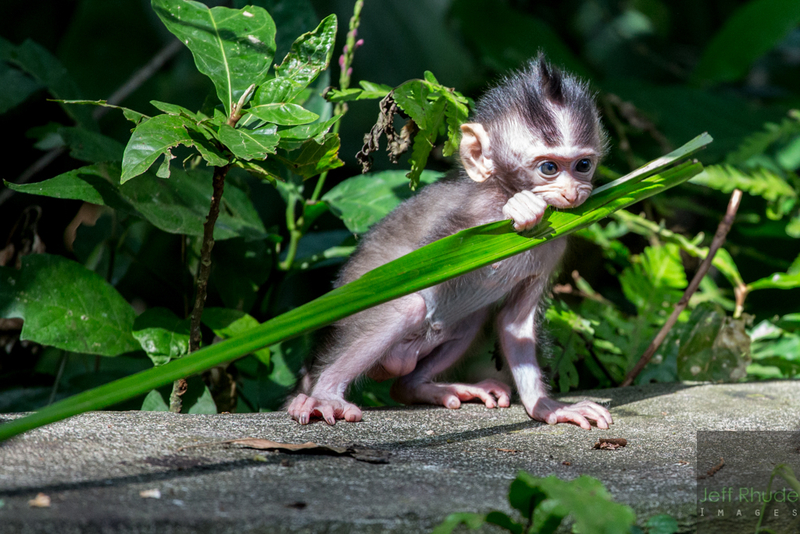 Don’t eat too much silly monkey. 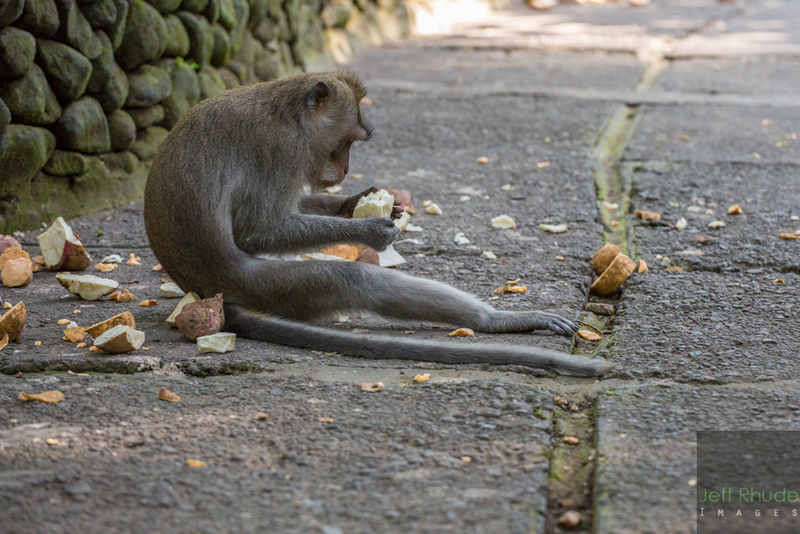 This entry was posted in Nature, Wildlife and tagged Bali, crab-eating macaque, Indonesia, Kuta, long-tailed macaque, Macaca fascicularis, Sacred Monkey Forest, Southeast Asia, Ubud. Very nice set Jeff. It’s nice to see those monkeys again, I haven’t been there for a long time. Sweet nips on them monkeys. I like how you captured the red. Very emotional.